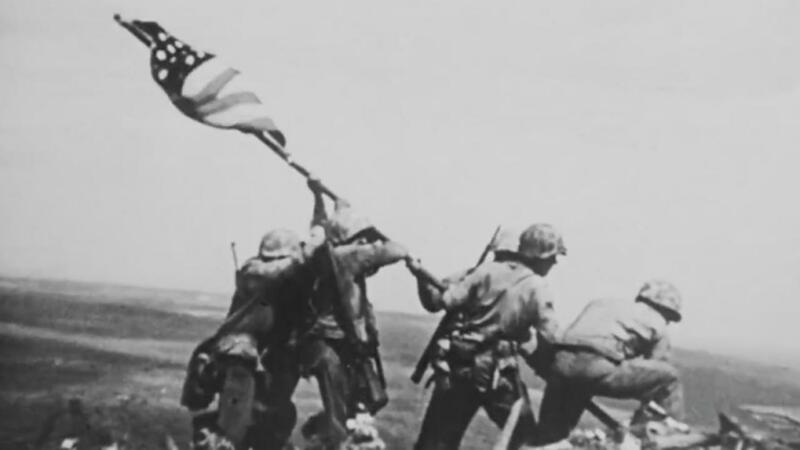 The Marine Corps is investigating if it misidentified one of the men in an iconic photo from World War II. The picture in question shows six U.S. service members raising the American flag on a mountain on the Japanese island of IwoJima. Associated Press photographer Joe Rosenthal snapped the photo. One of the men was originally thought to be Navy Corpsman John Bradley. Bradley's son eventually wrote a book about the photo called "Flags of Our Fathers," which was eventually made into a movie. But two amateur history buffs think Bradley isn't in the photo at all. In 2014, the Omaha World-Herald reported on their research. The article says the man in the photo has equipment that a medic, like Bradley, wouldn't have and the man in the photo doesn't look like other photos of Bradley taken that day.